Erwin Würth’s HolzArt is his personal way of protest against the throwaway mentality and the ambiguities in society. 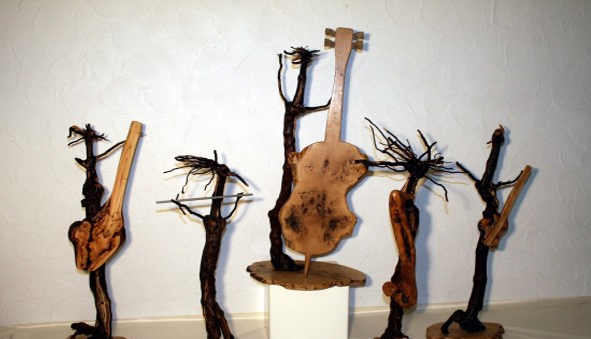 With his wooden works of art he wants to show us a new possibility of how to take care for god’s creation. > From a trunk of a tree to a work of art. > Take a closer look at HolzArt. The vital spark which led to the discovery of his artistic talent was a vacation on the coast of Denmark in 1991. There, he put together wooden stranded goods for the first time, thus playfully creating a piece of art. That way, thrown-away things are "revived" again. 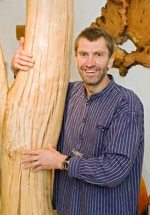 The creative work ("HolzArt") by Erwin Würth can be visited in his Atelier in the village of Petersbächel on an exhibiton area which spans 200m². It was opened in 2009.